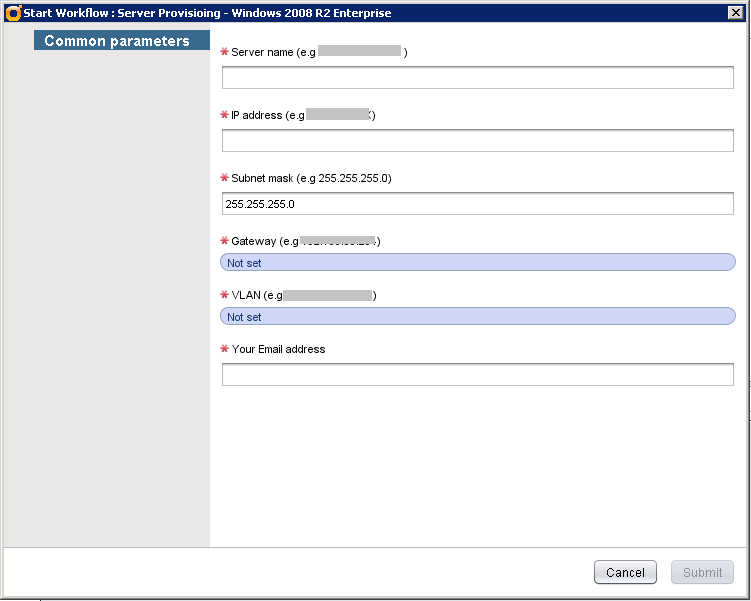 I have created the server provisioning workflow in vCO and used it to create couple Windows 2008 servers, really nice and neat! What it does is to Clone a template –> Sysprep it –> Configure it (IP address, hostname, admin password, join domain ….) –> Send an Email to notify the requester when the server is ready. 1) Reduce the information that needs user to input. I only allow user to specify the following things, all others are hard coded in the attributes. 2) Create the following batch script in the template. Then create the Guest Customization workflow based on the ‘Run program in guest’. 3) Create the following batch script in the template as well. Then create the VM Ready workflow based on the ‘Run program in guest’. Previous Post SQL Server2008 R2 Evaluation period expired! I’m relatively new to vCO and learning how to do workflow. I’d like to try your workflow, could you share your workflow package, or detail more “Scripting Task” and the different parameters in the workflows elements ? Well, when building up a new VM you have to provide the guest name and the VM name that is referred by vCenter, which means user have to type the name twice. To simplify it , I use the following script to make them same. Chen.. Could you pls send me the work flow or instruction steps. In my case, I want to run my local bash script (e.g. /var/www/runTesh.sh) located in the vco server via workflow. Can you guide me how to do it? Sorry just new to vCO just started last month working exploring. 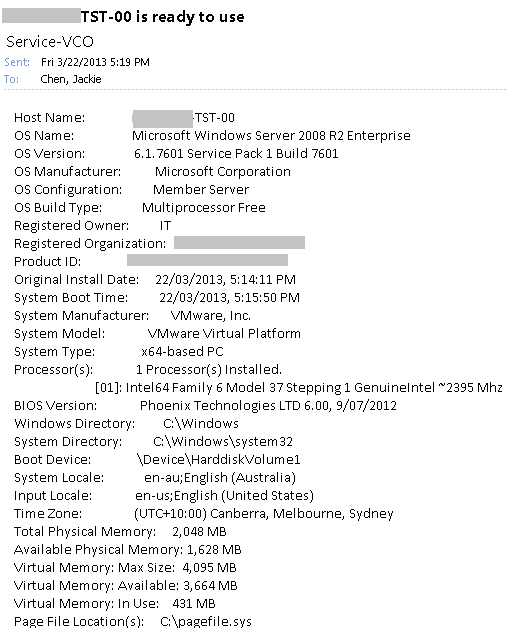 I assume your vCO server is a virtual appliance. If so just use the pre-defined workflow ‘ ‘Run program in guest’ into your workflow. Is there a way to get a peek at the workflow please? Hi Steve, it is pretty straightforward to create such a workflow. All the key steps and scripts are already listed in my post. I am new to VCO, trying to create workflow to create VM from template with guest customization. Could you please send me the workflow please.